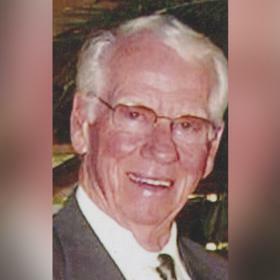 Martin Russell Schuiling aged 92 went to be with his Lord Jesus on September 25, 2018. Martin was the son of Martin J. Schuiling and Myrtle E. (Winchester) Schuiling. 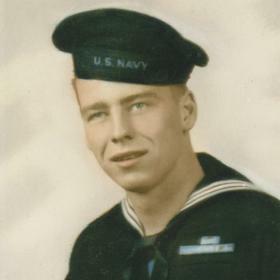 He honorably served his country during WWII in the U.S. Navy where he spent 20 months in the South Pacific. He was preceded in death by his wife, Elizabeth (Mol) Schuiling. Surviving are his children; Susan E. (Dale) Bergsma, Deborah B. Mull, and Martin J. (Amy) Schuiling, his eight grandchildren and their spouses, 18 great-grandchildren, his sister Eva (Ralph) Ludwick, his brother Norman (Terry) Schuiling, and his fiancée Norma Krampe. During his time on earth, God gave Martin the opportunity to hold many church offices at Fairview Reformed Church, to serve as Scout Master and on the Kenowa Hills School Board. He also was a member of Grand Rapids Kiwanis. Martin is a member of LaGrave Christian Reformed Church. He owned Ferris Coffee & Nut Company until his retirement in 1988. A memorial will be held at LaGrave Christian Reformed Church on Staurday, September 29, 2018 at 11AM with Pastors Peter Jonker and Lee Smits will officiate. Relatives and friends may visit with the family at the church from 10 AM until the time of the memorial service. In Lieu of flowers, memorial contributions to the Alzheimer’s Association would be appreciated.